A retractable awning is a huge investment for many homeowners. When you do your research before making a large purchase, you’re more likely to save money and avoid headaches down the road. 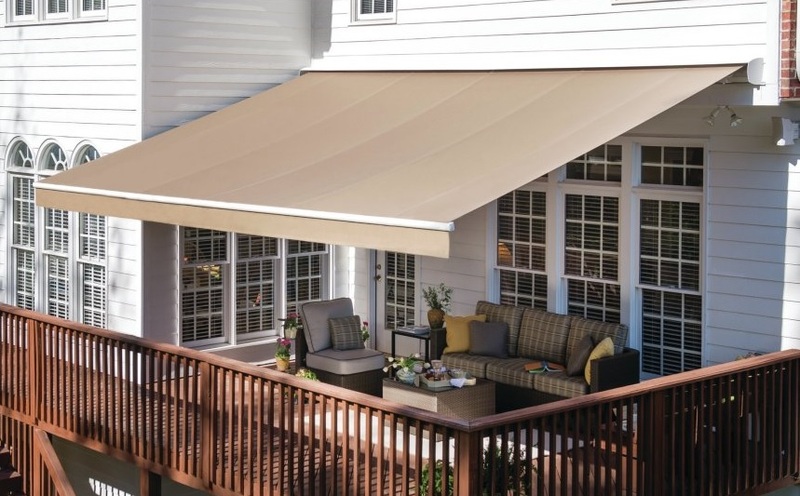 Prior to investing in Pittsburgh awnings for your home, there are a few important things you should know regarding retractable awnings. Who Are You Purchasing From? When making a large purchase, research is the key to success. Start by asking for recommendations from friends and family, and reading reviews online to make sure the company you work with is reputable. Does the prospective dealer do their own installations or do they contract out to a third-party? Do they offer a warranty on the installation? Does their warranty include any service work or future adjustments that you might need? Finding a dealer who stands behind their installation is an important aspect of the buying process to consider. What Kind of Fasteners are Used for Installation? Retractable awnings can weigh anywhere from 200 to 400 pounds. Because they are so heavy, it is imperative that when they are installed, the installers use a minimum of a 3/8-inch wide shaft lag screw. Depending on the material the installer is mounting to, the length of the lag screws is going to be an important factor as well. When retractable awnings are installed, the goal is to reach the center of the house’s framework after removing all exterior materials that can be compressed—i.e., foam board under vinyl siding. Because retractable awnings are made using a fabric material, it is important to have a material that will last. Most acrylic fabrics will not rot, mildew, or quickly fade due to sun exposure. Typically, most acrylic material is also the same color/pattern on both sides. An acrylic fabric that is sewn with UV stable thread should last anywhere from 8 to 12 years with maintenance and cleaning. Is it a Full or Prorated Warranty? It is important to know if the warranty is prorated or full. This will prove to be useful information if you ever need to file a warranty claim. Awnings that come with a full warranty will save you a lot of money in out-of-pocket expenses. How Does the Awning Operate? With retractable awnings, there are different ways the awning can be operated—manually, by hand crank, or motorized. The motorized option is more expensive when compared to manual options. But although they may have a higher price tag, research has found those with a motorized unit are ten times more likely to use their awning than those without. A motorized awning can easily be operated using either a handheld remote or a switch located on the wall of your home. Does the Location of Awning Assembly Matter? The majority of quality awnings are assembled in the United States. Because most awnings are custom made, they generally take a week or two to produce. Be aware that some companies will try to save money on production by importing lower quality units and components from other countries. When this happens, the components aren’t capable of withstanding the diverse climates found across the United States, causing peeling paint, faded fabrics, and rusted fasteners. What Applies the Spring Force in the Retractable Arms? All models of retractable awnings rely on a spring-loaded folding arm that exerts outward pressure in order to keep the fabric tight. The real work comes when you retract your awning. It is a lot harder to retract an awning than it is to extend one. This is true for both manually operated styles and motorized units. This is harder to do because you are not stretching the internal arm springs. In most units, the springs apply tension using one of three methods—cables, chains, or belts. Regardless of the tension method, most claim to have a lifespan between 20,000 and 100,000 arm cycle durability. Knowing the facts about retractable awnings can help you to make an informed decision, ultimately aiding you in purchasing an awning that you will be happy with for years to come. At Thomas V. Giel Garage Doors, we offer quality Pittsburgh awnings that are not only beautiful, but durable as well. You can rest assured that when you make your awning purchase from Thomas V. Giel Garage Doors, you are getting a high-quality awning that will enhance the appearance of your home.